On an acropolis above the city of Athens lies the ancient citadel known as 'The Acropolis'. Evidence of settlements from more then 7 000 years ago has been found on the hill. Since then several temples and other buildings has been raised there. Remains of several of these ancient structures still stands, making it an important historic site. One of the most famous buildings is the Partheon. 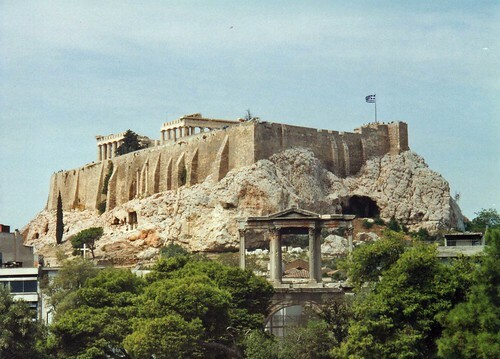 It was built between 447 and 438 BCE as a temple to the goddess Athene. Other important ruins are the Altar of Athene and Chalkotheke. Many of the structures have suffered greatly over the years, due to pollution, war and other forms of decay. In 1975 a great project to restore the site was undertaken. Great progress has been made, but the work still goes on. The site is open to visitors every day, but only in designated opening hours. 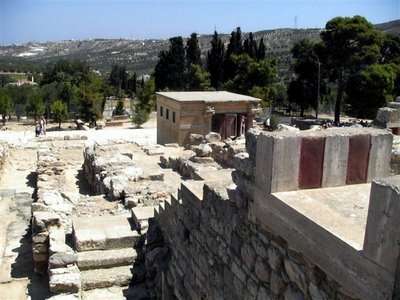 The archeological site is also known as Labyrinth or Knossos Palace. The ruins of the old city is pretty well restored. It has become a very popular tourist attraction for people visiting Crete. It is considered the origin point of the legend about the minotaur that was slain by the hero Theseus.